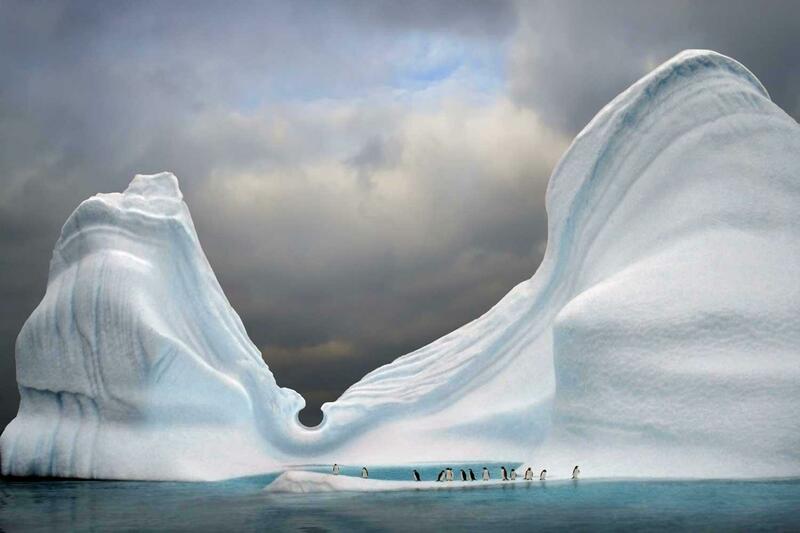 Perfect for first time visitors to Antarctica. Join special experts for a unique 14-day expedition focusing on Marine Mammals. 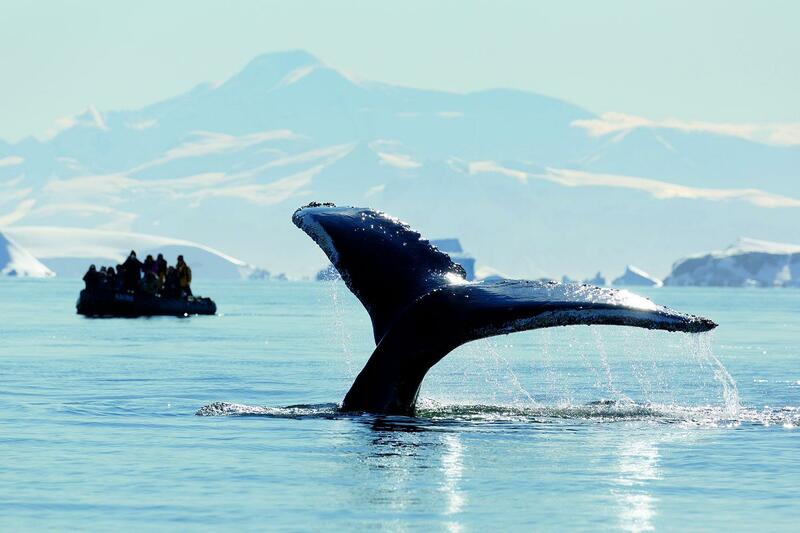 As the Antarctic summer comes to a close in March, migratory whale species like the Humpback are very active, socializing and feeding in preparation for the long journey ahead. 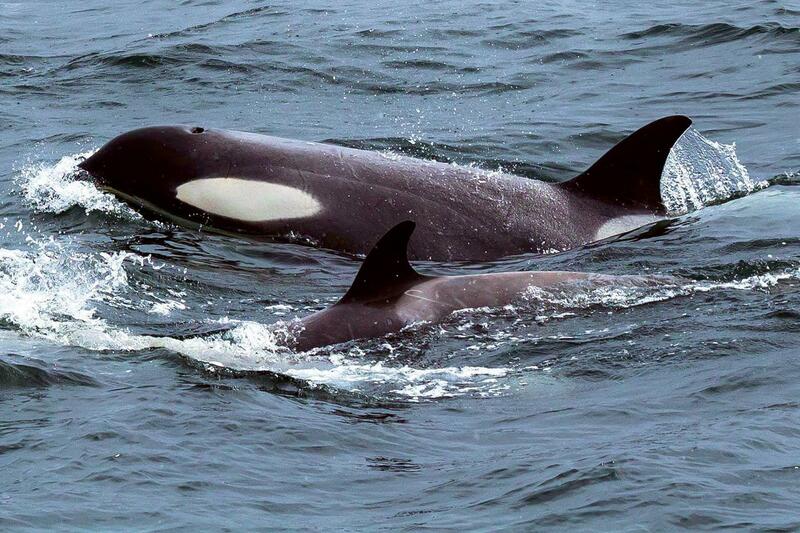 Resident whale species like the Minke and Orca are abundant, and we stand a good chance of encountering Southern Right whales and some of the larger pelagic species. Leopard seals are also very busy in March, hunting naïve penguin chicks as they mature, develop their waterproof feathers, and make their first journeys to the sea. We’ll see all this action close-up; from Zodiacs, on shore landings, and from the deck and observation platform of Hebridean Sky. Photographers and videographers will have ample opportunities to capture stunning images, and those of us with scientific interests will be thrilled to work with the Citizen Science team, contributing data and images to a variety of active marine mammal research projects. 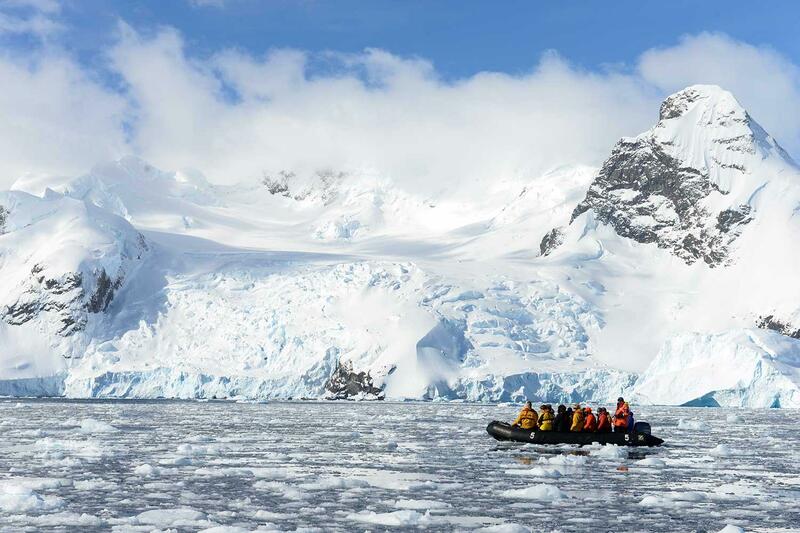 This voyage features the abundant wildlife and spectacular scenery of the Antarctic Peninsula, including the classic sites of historic and scientific interest. Spot penguins, seals and seabirds and admire the spectacular beauty of the Antarctic coastline with its mountains, glaciers and icebergs. Landing on the continent itself is a memorable highlight, where you’ll explore the iconic sights that make this one of the world’s most pristine, exotic and unforgettable natural environments. Complimentary Pre-Arrival Day! Don’t sweat flight delays or missed connections when you begin your adventure a day early by taking advantage of our optional free pre-arrival night at the beautiful Arakur Hotel & Resort, a member of the Leading Hotels of the World. Enjoy the spa, wander the trails, or unwind and soak in the surroundings. Day 1, Ushuaia: Arrive in Ushuaia anytime today, or take advantage of our complimentary flexible arrival program and arrive up to 24 hours in advance. You’ll be staying at the beautiful Arakur Hotel & Resort, a member of the Leading Hotels of the World. Explore the trails, take a spa, relax and soak in the surroundings, or head into Ushuaia and browse the Argentinean leather markets. Our optional evening briefing is a great opportunity for you to ask questions and to meet some of your fellow travelers. Enjoy a complimentary buffet breakfast in the morning. Day 2, Embarkation: This morning, we’re free to explore Ushuaia or unwind at the resort until our mid-afternoon transfer to the ship. On board, we’ll be greeted by our Expedition Team and the Ship’s Officers. A concise safety and orientation briefing will be followed by the Captain’s welcome dinner. After dinner, we’ll relax and take in the scenery on our early evening sail through the Beagle Channel, past Magellanic Penguin, Rock Cormorant, and Sea Lion colonies. Day 3-4, Drake Passage: Among the wildlife spotting opportunities as we sail south are the Albatrosses, Prions, and Petrels that frequently follow the ship. Our Expedition Team will be out on deck as well, looking for the Whales and Dolphins that may also be seen in the area. 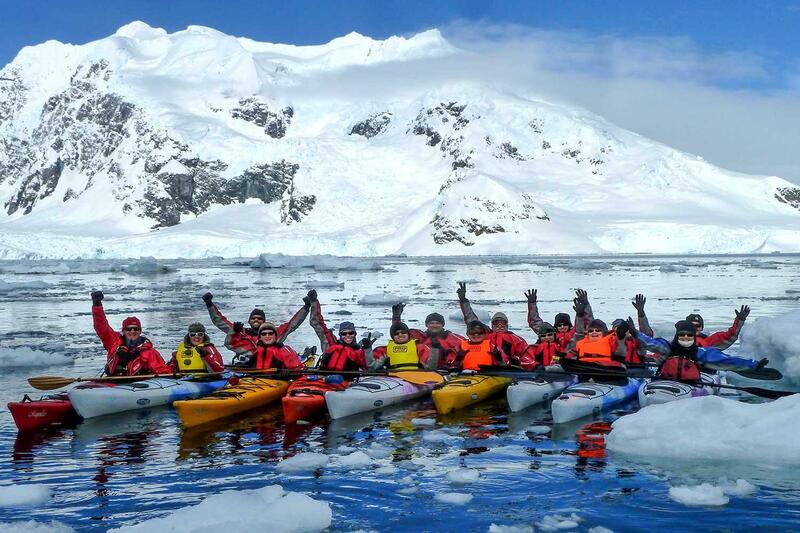 Our experts will hold informative and entertaining presentations on the wildlife, history, and geology of Antarctica. Helpful briefings on environmental regulations and expedition safety will also be held in the comfortable lounge. The length of our journey depends on sea conditions, but we should approach the South Shetland Islands in the evening of Day 4. We will keep especially keen watch for Pelagic whales as we approach the nutrient rich upwelling areas of the Continental Shelf. 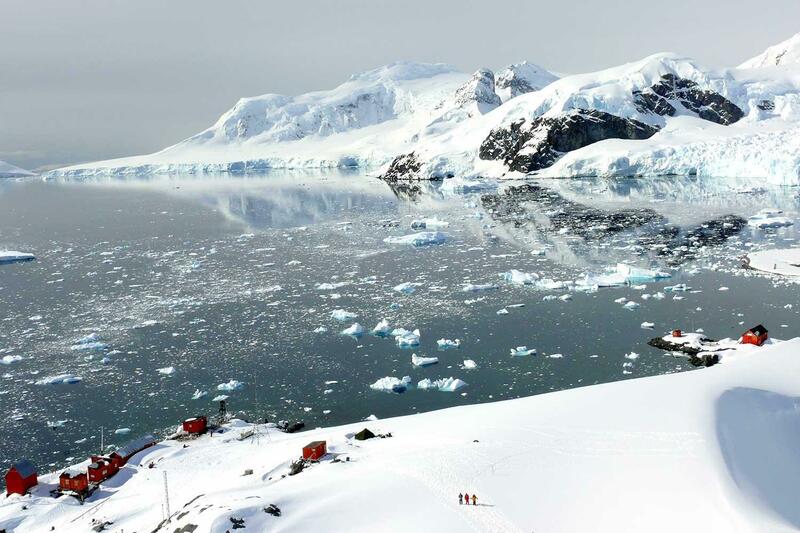 Day 5-7, Antarctica: Exploring the South Shetland Islands, we may visit Half Moon Island with its stunning backdrop of mountainous and glaciated Livingston Island. Or perhaps we will sail the ship into an active volcano with an opportunity to take a dip in the relatively balmy waters that surround Deception Island. Bransfield Strait, once the site of an abandoned whaling station, gives us an excellent chance to see whales, who often return to its rich waters. 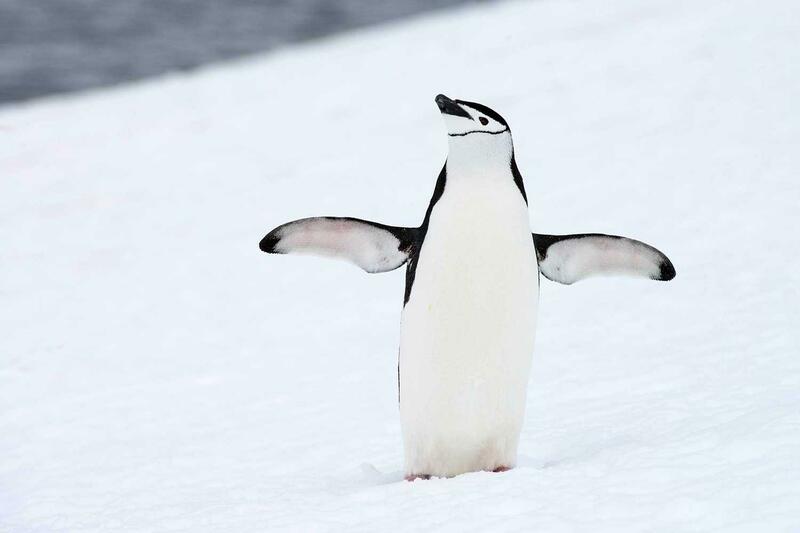 In the waterways of the Antarctic Peninsula, our Expedition Leader, Captain, and Marine Mammal experts will create a flexible itinerary based on weather, ice, and previous sightings to maximize our whale watching opportunities, while also exploring some of the lesser travelled areas of the Peninsula. We will aim for the most scenic bays and channels, with stops at penguin rookeries, seal wallows, bird colonies and whale feeding areas, as well as sites of historic and scientific interest. 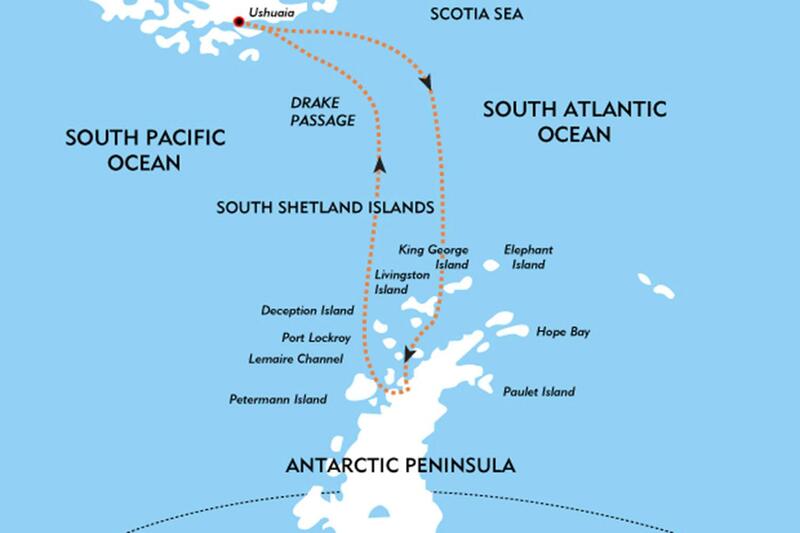 Days 8-11 - Antarctica Heading further South, we will be sure to explore the Gerlache Strait and its surrounding channels and islands. 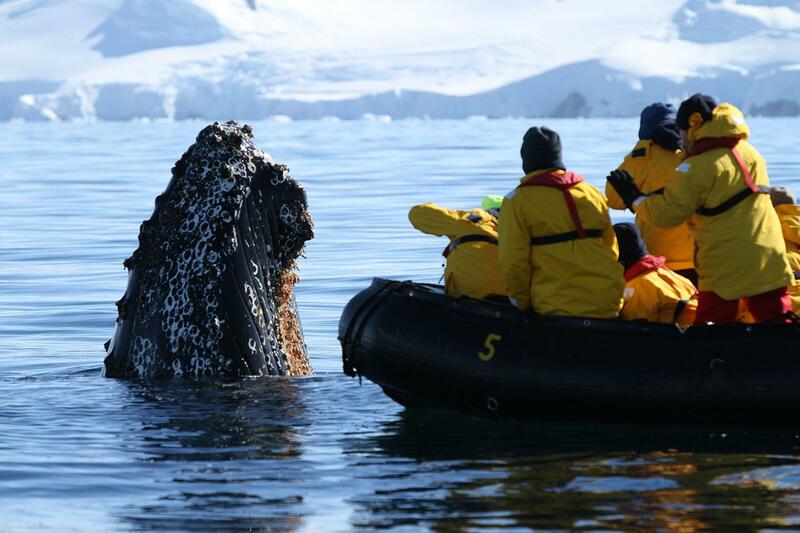 This may include trips to picturesque Neko Harbor, sheltered Paradise Harbor, the Humpback Whale favored Wilhelmina Bay, the striking Lemaire Channel, the wildlife-filled Penola Channel, or the majestic Neumayer Channel. We may stop at an active scientific base such as Poland’s Arctowksi or Ukraine’s Vernadskiy as well as a historic base such as U.K.’s Port Lockroy or Wordie House. 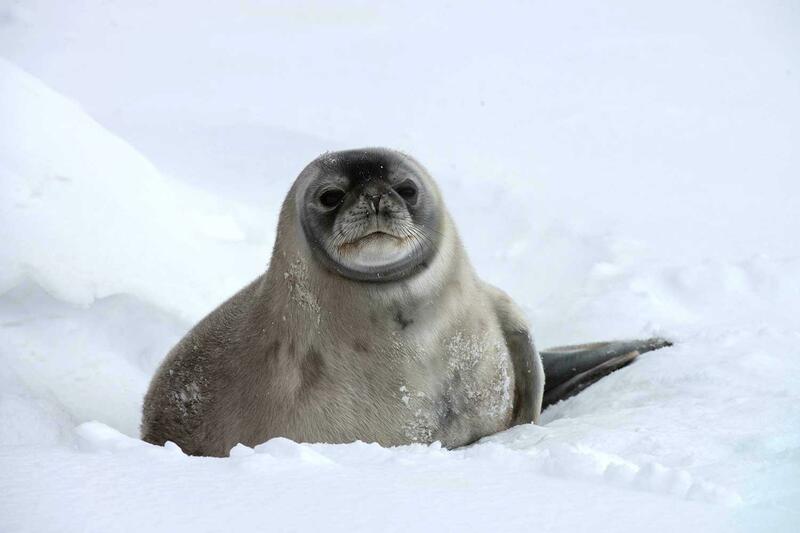 At this time of year, most areas have amazing marine mammal viewing opportunities with Weddell, Crabeater and Elephant Seals often found hauled out to rest along with predatory Leopard Seals and the assertive Antarctic Fur Seal. Minke and Humpback Whales are frequent visitors during this season and Orca sightings are also common Day 12-13, Drake Passage: As we leave this magical place and make our way north, heading again across the Antarctic Convergence and the Drake Passage, we will continue our presentation series and wildlife spotting. Sailing back to Ushuaia through the Beagle Channel, we celebrate the conclusion of our expedition with a special slideshow. Day 14, Ushuaia disembarkation: Morning disembarkation lets you catch a flight to Buenos Aires or stay in Ushuaia for more sights and adventure. Note: The captain and expedition team will do everything possible to complete the voyage as outlined in the voyage itinerary. However itineraries in polar regions are heavily dependent on weather and ice conditions. Occasionally conditions and or safety concerns require Itinerary changes. The Captain and expedition team will accordingly make every effort to find the best alternative to the original itinerary while keeping passengers informed and updated.